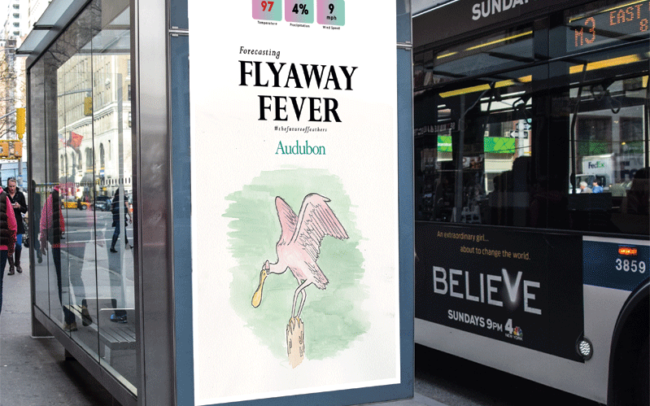 A nonprofit foundation known for the conservation of nature as well as the protection of many endangered bird species, Audubon is constantly looking for ways to raise awareness and donations so they have the tools to do more. 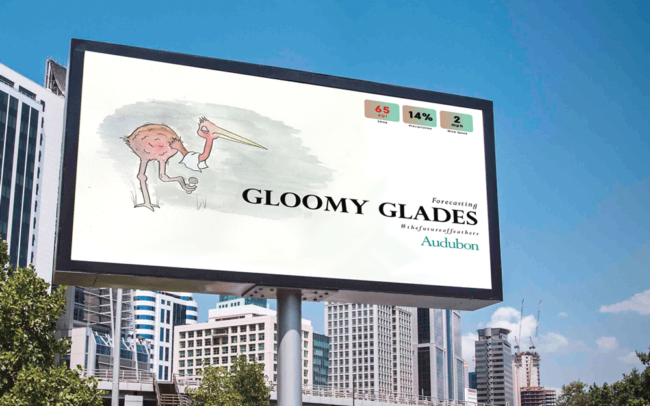 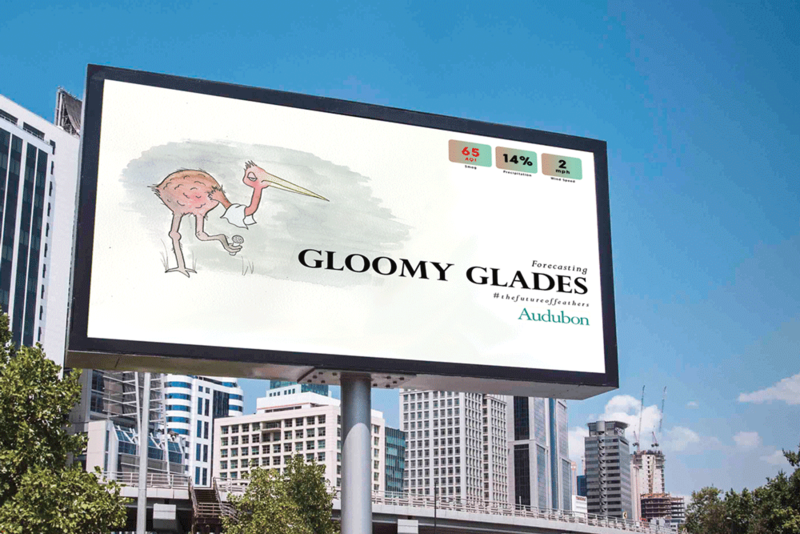 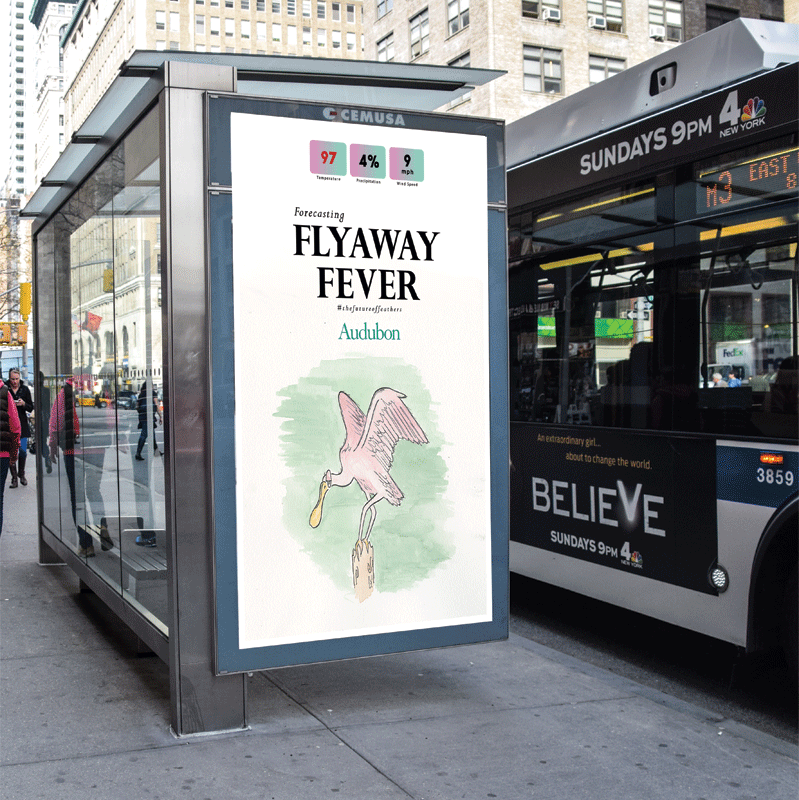 This 360 degree campaign plays with the idea of humorous sick birds forecasting the future of not only their habitats, but our world as well. 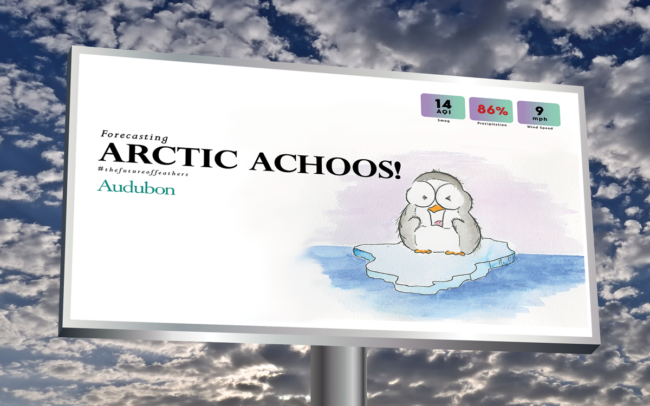 Each billboard ad would be placed in a city area with large commuter masses. 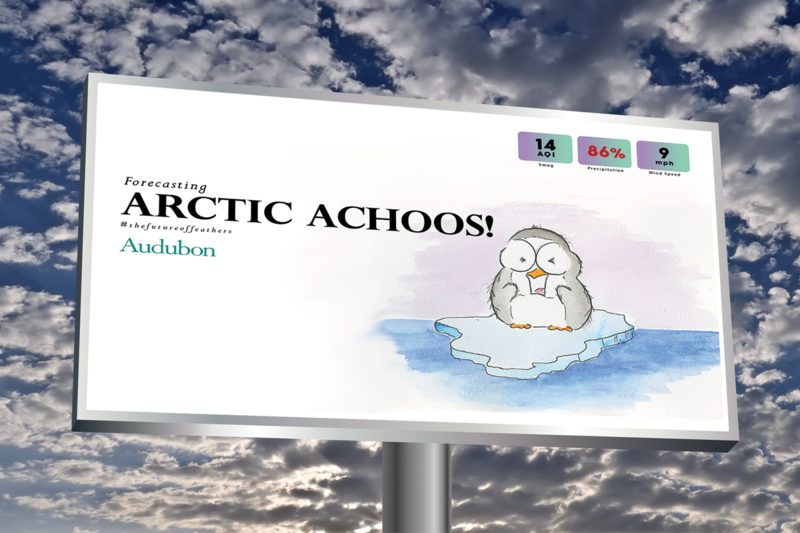 The information would be an interactive element, tracking and highlighting excessive weather readings.